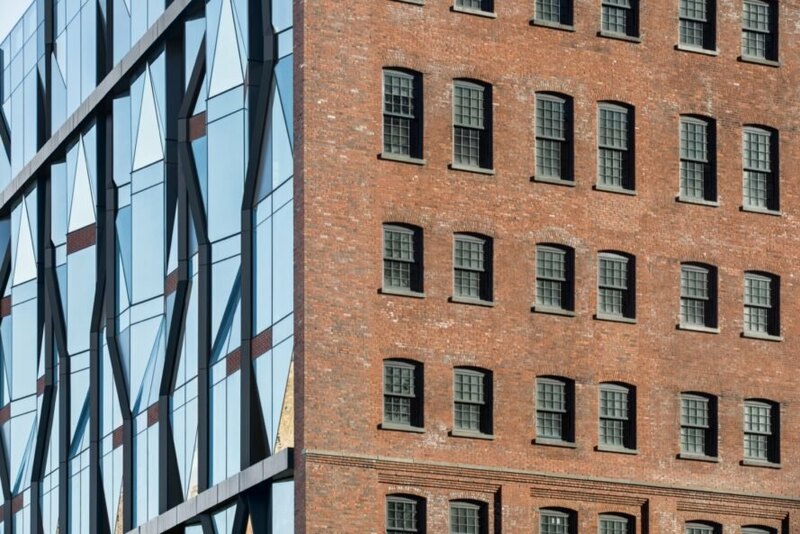 A historic waterfront factory has been given a new lease on life thanks to New York-based architecture firm ODA and Triangle Assets. 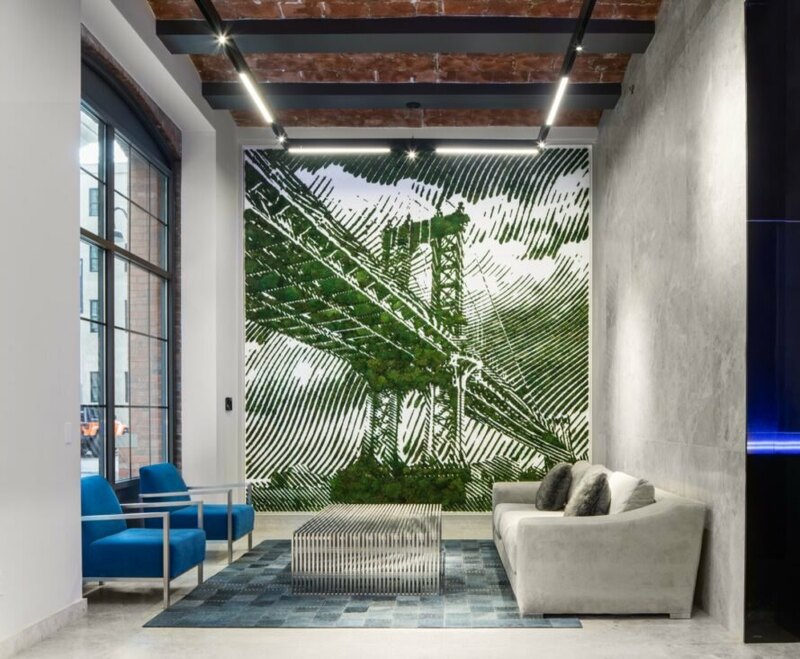 Located at 10 Jay Street in DUMBO, New York City, the project explores both adaptive reuse and historic preservation in its transformation of the former Arbuckle Brothers sugar refinery into creative office spaces. The sensitive renovation updates the building to modern standards while carefully preserving its history, from the restrained industrial-inspired material palette to a new reflective facade that evokes sugar crystals. Built in 1898, the massive structure first served as the Arbuckle Brothers’ sugar refinery. After the building was converted into a winery, the front structure of the building was torn down, leaving only three of the original facades intact. The building then remained vacant and abandoned for 50 years until real estate agency Triangle Assets purchased the property with aims of renovation. 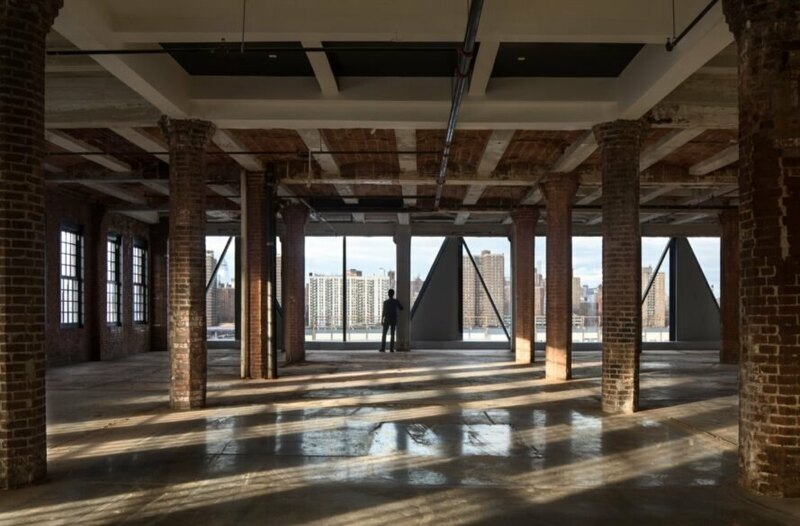 To that end, Triangle Assets tapped ODA to turn the 230,000-square-foot warehouse and its 10 stories into flexible offices that overlook panoramic views of Manhattan and Williamsburg’s waterfront. The interiors are also minimally dressed in exposed brick and steel in a nod to the site’s industrial heritage. Existing historical features, such as the terracotta arches and octagonal columns, were restored and exposed. 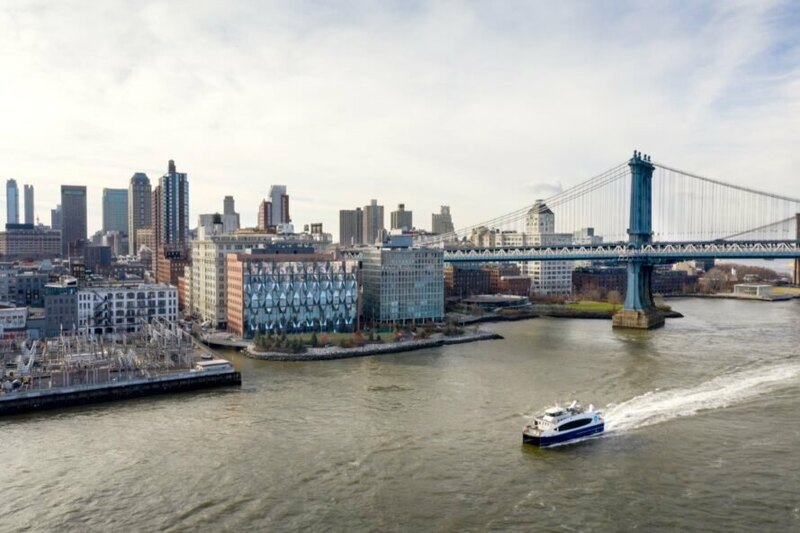 The building is also embedded in Brooklyn Bridge Park, making it the only privately owned building in the park thanks to the owner’s donation of nearly 15,000 square feet of land to the park. 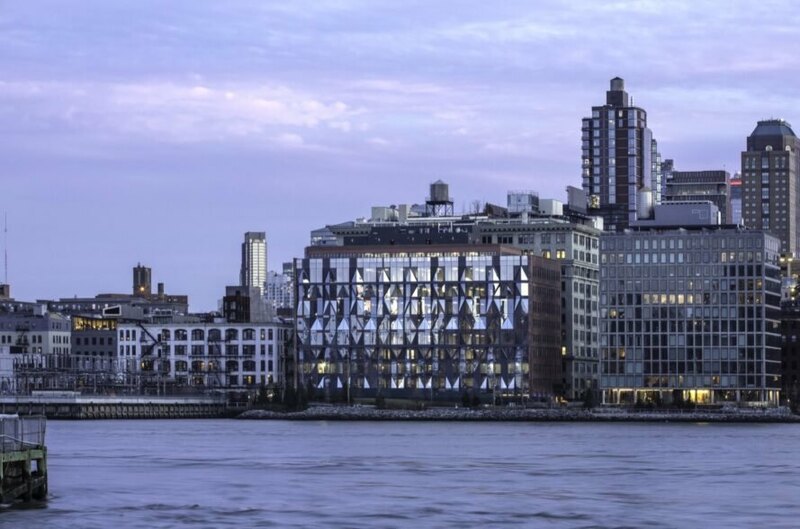 The new crystalline west facade reflects the park and sunsets over the river. ODA transformed an old sugar refinery into creative offices in Brooklyn. The structure was originally built in 1898. It was once a sugar refinery for Arbuckle Brothers, then it was a winery. After it served as a winery, the front facade was torn down, leaving only three original sides. Now, it boasts a shimmering front facade. The new exterior pays homage to sugar crystals. Inside, industrial design can be seen throughout. The updated rooms are ideal for promoting creativity. The project hopes to exemplify how to sensitively adapt older buildings. Many of the original features were left intact. 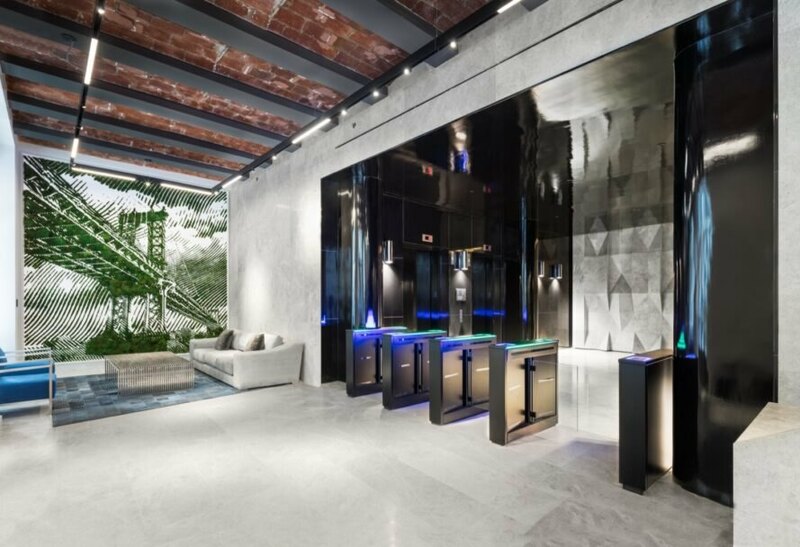 The 10-story building blends historic design and modern elements. The new facade catches the eye, even from a distance. The green renovation will allow the building to thrive for years to come.